John and Matt revisit their pixelated polygon dreams in this issue, discussing the history and the present of Star Wars video games with an eye toward what could work for the future of the franchise. Learn a little bit more about your hosts when they discuss what tickles their midichlorians and what games appeal to them most! 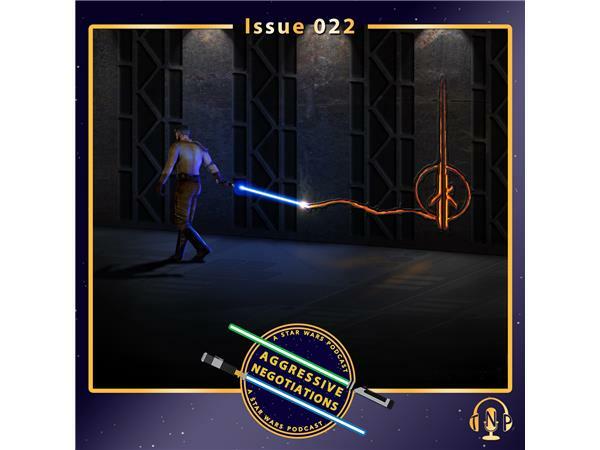 In this episode of *Aggressive Negotiations*, Jedi Masters Matthew Rushing and John Mills reminisce about their favorite Star Wars video games and share special stories about how they handled both success and failure.